On July 5, another letter was sent to CBN, expressing the need for the apex bank to confirm the readiness of commercial banks under its supervision to perform their roles in the process to ensure the success of the project. The Nigeria Customs Service (NCS) has confirmed that 23 banks were onboarded and properly trained in preparation for its e-auction portal. On July 3 2017, NCS unveiled the e-auction platform but only one, Jaiz bank, was listed on the platform. This drew criticism of the platform as people could not bid because their financial institution was not listed. 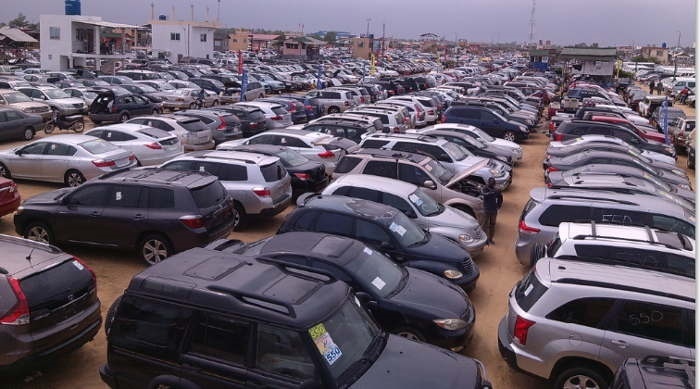 But the Public Relations Officer, Mr Joseph Attah, noted in a statement on Monday that 23 banks were onboarded as duty-collecting banks and were properly trained and carried along in the process of the on-going e-auction. He said that the service wished to make clarifications on the inability of other commercial banks to hook up to the platform. “NCS wishes to state that all the 23 Customs duty collecting banks were carried along, properly trained in the process. “When the platform was developed, it was subjected to user acceptability test with all the banks, including the Central Bank of Nigeria (CBN). “Throughout this period, no bank indicated any problem with the platform. “However, upon launch of the platform - https.app.trade.gov.ng/eauction, only Jaiz Bank was discovered to be ready and active on the platform. “In the light of the above, the service immediately wrote a letter to all the designated banks requesting them to integrate with the e-auction application for the recharging of e-wallet” same day July 3,” Attah said. According to him, on July 5, another letter was sent to CBN, expressing the need for the apex bank to confirm the readiness of commercial banks under its supervision to perform their roles in the process to ensure the success of the project. “We are being told that other banks are making frantic efforts to sort out whatever technical problem to hook up to the platform. “This clarification is necessary to correct whatever wrong impression that could be generated as a result of having only one bank presently on the platform, ” he added.